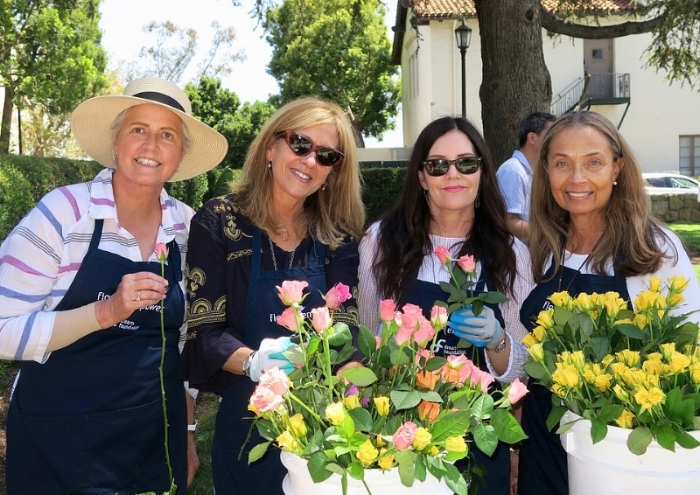 On June 2, Dream Foundation held a lovely event for donors of its Flower Empower Spring Bouquet Campaign on the picturesque grounds of Hospice of Santa Barbara. In light of the Thomas Fire and 1/9 Debris Flow, the foundation skipped its annual Flower Empower Luncheon, but to raise needed operating funds, it launched the campaign. About $25,000 was raised for this volunteer-driven program that delivers floral bouquets and other goodies to those in need. While Dream Foundation’s main program of granting dream requests to terminally ill adults is national in scope, only residents of Santa Barbara and Ventura Counties are fortunate enough to benefit from the Flower Empower program. According to Dream Foundation, the program delivers hope and compassion in the form of fresh-cut flowers, homemade cookies, fine chocolates and hand-made cards to those in need. In place of the open bar and gourmet appetizers at many events, Dream Foundation kept this simple so all funds raised in the campaign could go to the program. Over lemonade and donated cookies, guests mingled and had the opportunity to join volunteers in making floral arrangements. During the short program, CEO Kisa Heyer thanked the volunteers and donors who make possible the program, which over the years has delivered more than 100,000 bouquets. Heyer emphasized that it is a program given by the community, for the community, with area growers and Trader Joe’s donating the flowers and volunteers making and delivering the bouquets. 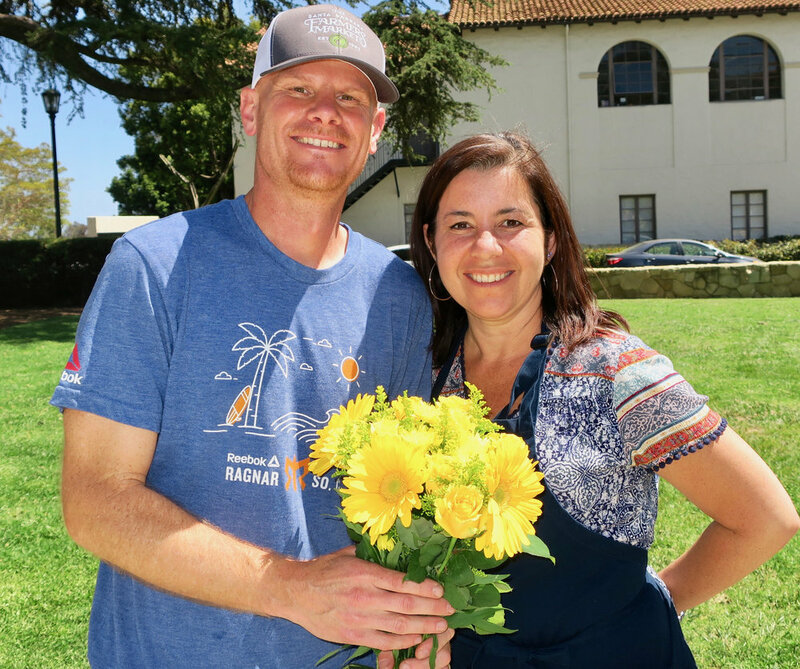 During the disasters, growers donated extra flowers, which enabled the program to make deliveries to adults and children who had been evacuated. Program Coordinator Valerie Banks announced this year’s honorees: Volunteer of the Year: Jennifer Duffy; Youth Volunteers of the Year: Paige Maho and Claire Kelly; and Growers of the Year: Harry and Eric Van Wingerden of Myriad Flowers. Each week for about 20 years, Myriad has provided at least a few hundred roses, sometimes as many as 1,500. Also honored were program sponsors: Diane & Tim Brown, Lisa & George Hagerman, Robin &Roger Himovitz, Nissrin Mahmoud & Bob Fuladi, and Shelley &Paul Schulte. For the program, all flowers are donated by area growers and Trader Joe’s. Cookies are baked and donated by Robin Himovitz (who has been doing so for 20 years), chocolates are provided by Chocolats du CaliBressan (Jill-Marie and Jean-Michel Carre), and cards are made by children and adults in the community. About 20 volunteers gather every Saturday morning to make and deliver about 150 bouquets. Deliveries are made to people in hospices, cancer centers, and their homes. Requests come from nurses, social workers, hospices, friends and family. Flowers are donated by B and H Flowers, Trade Joe’s, Ever-Bloom, Florabundance, Maximum Nursery, Myriad Flowers, and Westerlay Orchids. For more info about the Dream Foundation, go to dreamfoundation.org. If viewing this from a mobile device, click on “Desktop site” in top right for more pics. Send event invites to gail@independent.com. Volunteers Betty Dominguez and Carmen Romero, who have served for 19 years. Erik Van Wingerden of Myriad FLowers receiving Grower of the Year Award from Program Coordinator Valerie Banks. Volunteer Kathleen Ranney, VP of Programs Barbara Schoch, and volunteer Sidonia Slaff. CEO Kisa Heyer and Program Coordinator Valerie Banks.